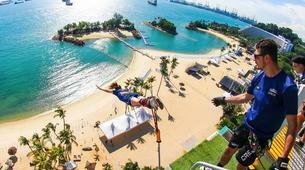 AJ Hackett has brought the ultimate thrill to Singapore. 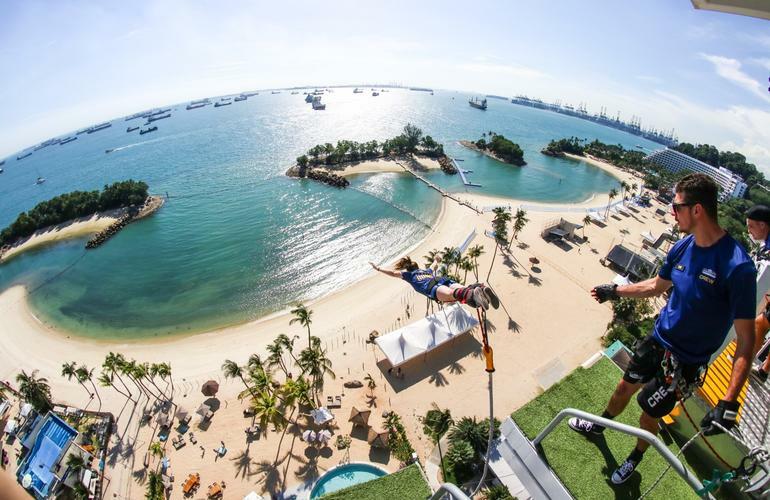 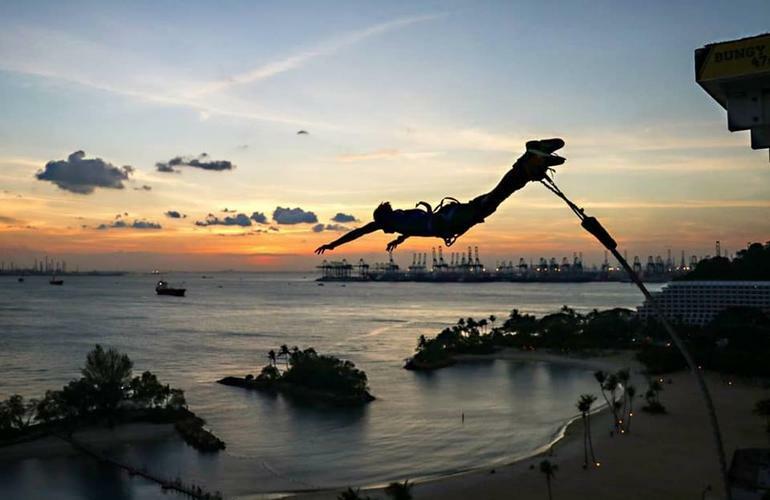 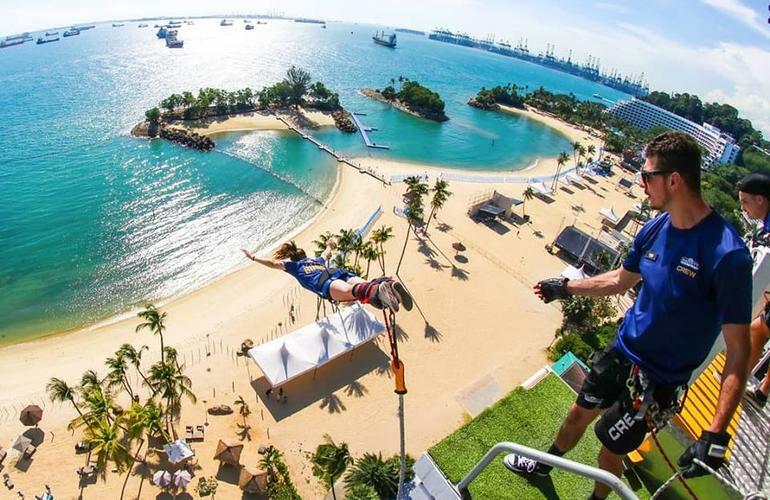 Leap off from 47 m. above the ground and freefall to the experience of a lifetime on Singapore’s first bungee jump facility. 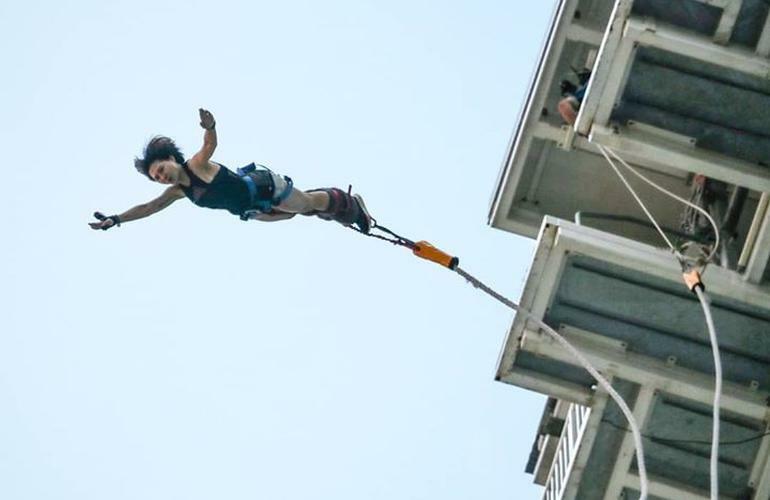 Conquering that fear, pushing yourself to your limit, and discovering that you can do anything if you focus and set your mind to it is the main goal of bungy jumping; the adrenaline rush is just a side effect! 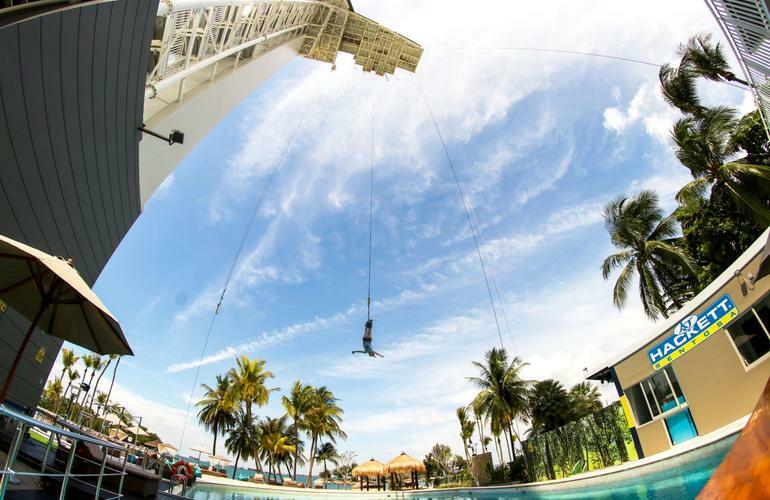 AJ Hackett International has operated this active experience in more than 10 countries since 1988 and remains the world leader in setting up, running, and innovating bungy systems. 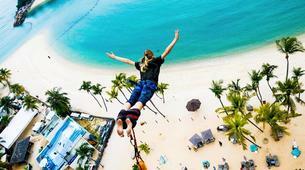 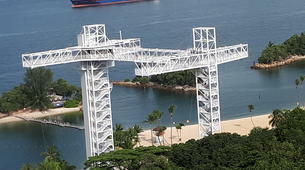 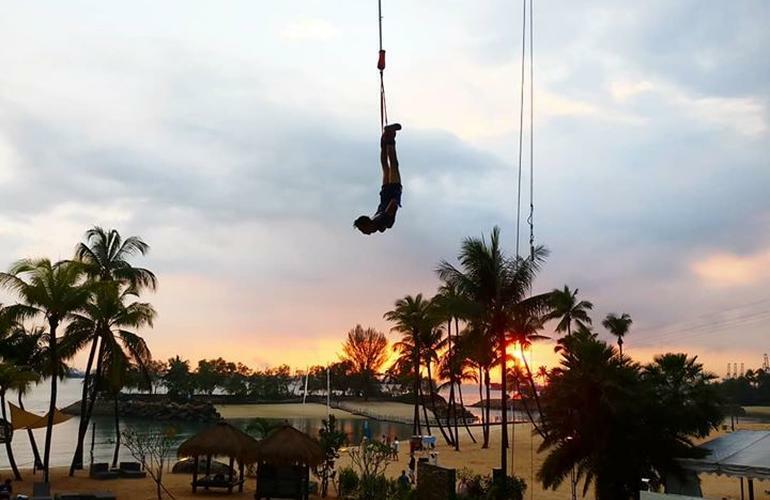 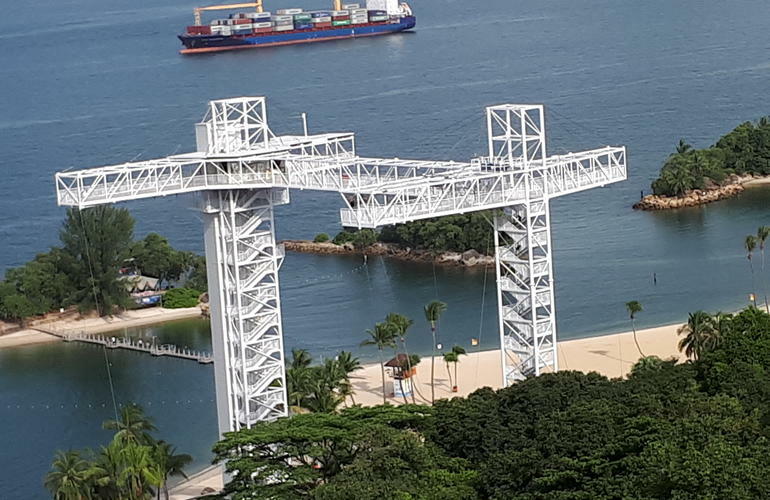 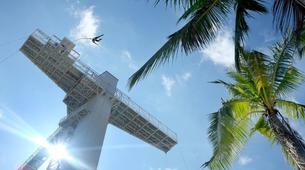 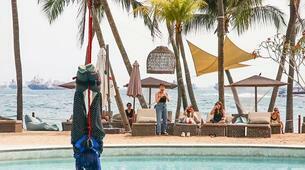 This simple thing guarantees that your bungy jumping in Sentosa will be completely safe and incredibly fun! 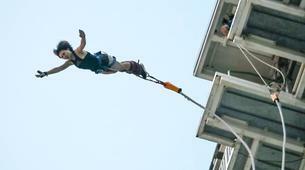 Bungy jumping is always attractive to both the jumper and the spectators at ground watching him. 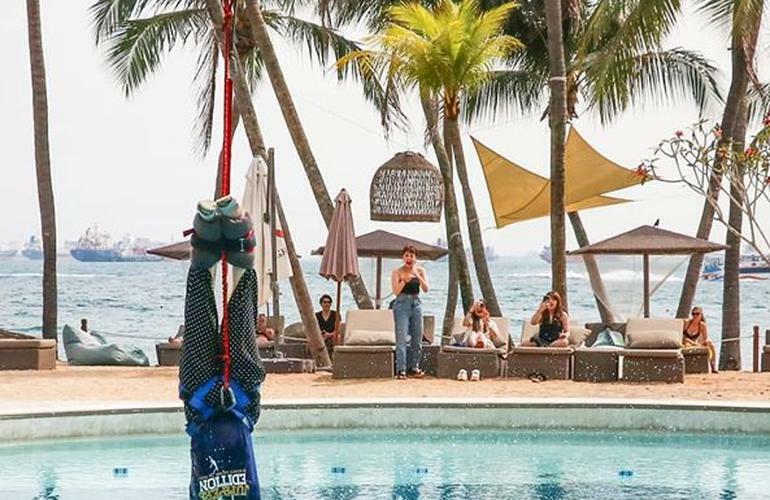 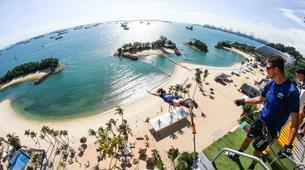 Thanks to the design and position of AJ Hackett's platform by the beach, a full range of jumps are possible at the Sentosa Island venue. 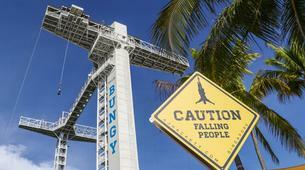 Your bungee jump will begin with a registration in which you'll fill all necessary document. 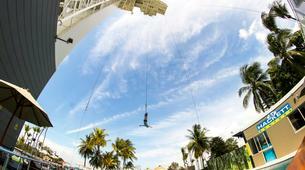 Then, you'll be weighted so the jump master and the rest of the crew can configure your jump accordingly. 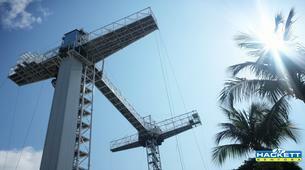 When your time will come, you'll get harnessed up and taken to the top of the platform. 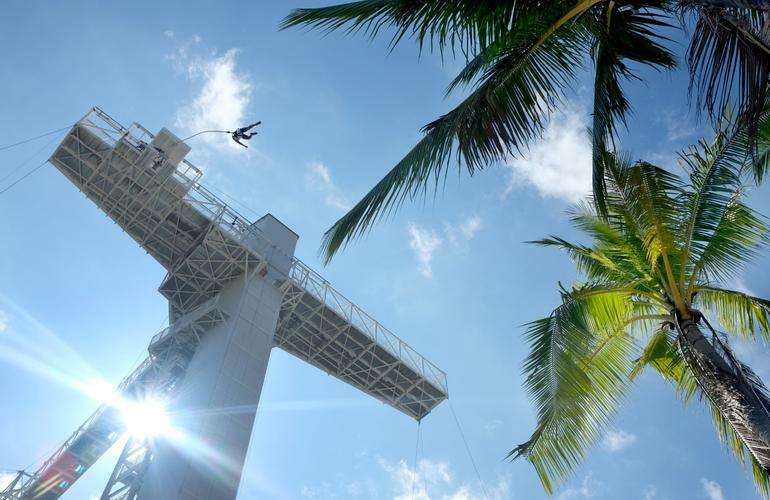 Seconds will seem like hours as you wait for the signal "3,2,1...jump"! 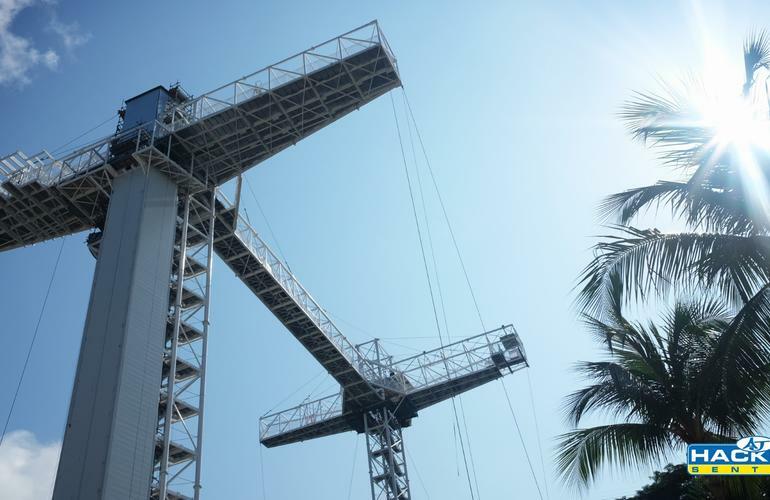 You'll freefall from 47 m. before bouncing back up and falling once again! 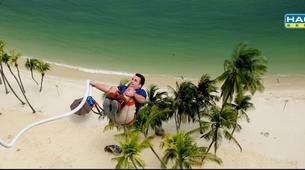 All participants must weight between 40 kg. 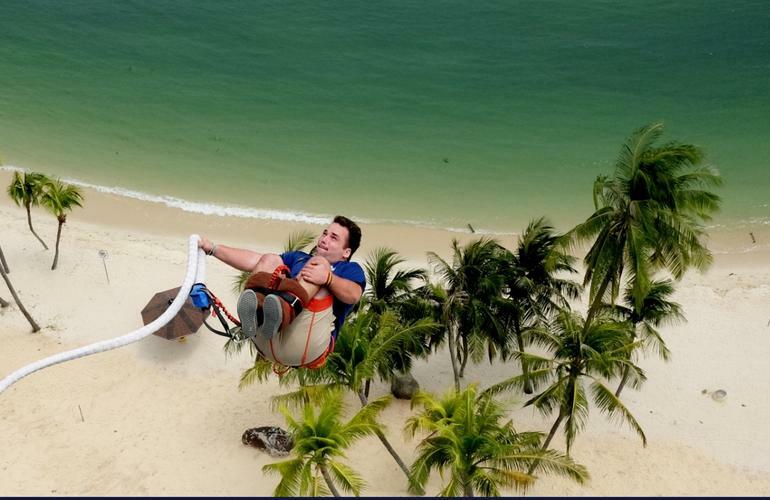 and 130 kg. 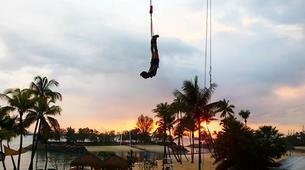 Minors must have written parental consent. 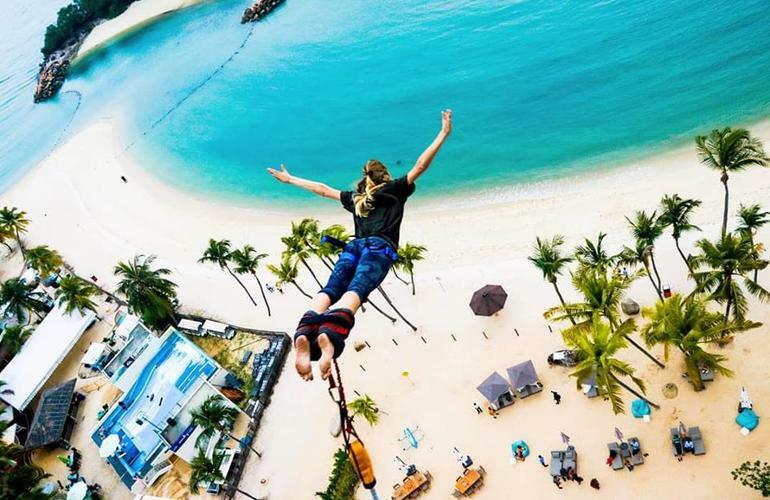 Please inform if you have high blood pressure, heart conditions, diabetes, pregnancy, epilepsy, dislocations (previous/present), neurological disorders, vertigo, or any severe medical conditions. 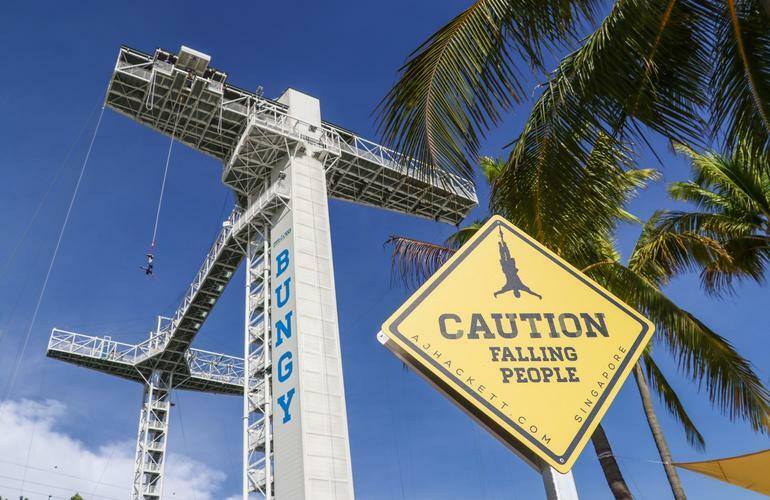 People in wheelchairs, with limited or no eyesight, and many other cases can jump, please ask beforehand. 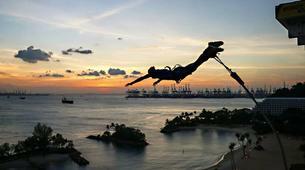 Launching yourself from extreme height... very exileralting feeling.